Cinecultist:Mike Macauley Conner or C.K. Dexter Haven? Mike Macauley Conner or C.K. Dexter Haven? 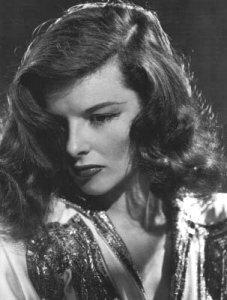 Perhaps one of the reasons that Cinecultist loved Katharine Hepburn is that she had the best choice ever -- Cary Grant or Jimmy Stewart? If not in real life, where she actually chose Spencer Tracy, then in the magic fictional world of the Philadelphia Story. It's like trying to choose between chocolate and more chocolate, it is an impossible choice. Actually CC thinks it says a lot about a person whom they think Tracy Lord should be with in the end, the stubborn working class journalist who she sparks with or her dilettante ex-husband childhood soul mate. The familiar or the unknown, which would equal more happiness for the heiress with a heart of gold? Hepburn's iconic performances gave us the opportunity to ponder these questions about ourselves and our life choices. She also made us laugh at her brilliantly executed pratfalls and cry with her heart-renching delivery. As a devote of the romantic comedy, in particular the screwball variety, CC's mind naturally gravitates towards her comic roles when thinking of Hepburn's career. She personified the screwball heiress, a woman too clueless for words but too charming to resist. Stanley Cavell in Pursuits of Happiness, talks about how in the case of certain actors the camera could create types from individuals, or individualities. Their "mannerisms and eccentricities so satisfied the appetitie of the movie camera" that their "distinctness was the staple of impersonators." Hepburn had a style all her own, even if her physicality could be imitated, one of independence and integrity which shone through her characters like a beautiful inner beacon. Watching her act, we couldn't help but be on her side and identifying with her at every turn. To know she is gone from us now, is to truly feel like a part of us is lost, she so captured the imagination. Turner Classic Movies will air a tribute on July 10th of Hepburn's movies. Be sure to check out at least a few of them, they are the kind of films that enrich your whole person.